Microscopic image of the hepatitis C viral particles. True cures in medicine are surprisingly rare. But for nearly five years, doctors have had one available for hepatitis C, an often chronic, life-shortening viral disease that wreaks havoc on the liver. The only problem, as a depressing study published Thursday in Open Forum Infectious Diseases highlights, is that private insurance companies and even public payers like Medicaid and Medicare are still refusing to pay for it. Known as direct-acting antivirals (DAAs), the first of these drugs was approved in 2011 by the Food and Drug Administration. DAAs target proteins found in the virus, inhibiting or interfering with its replication. The first DAAs were able to clear the virus from around two-thirds of people living with chronic hepatitis C caused by the most common genotype of the virus (there are six distinct genotypes). That cure rate was already shoulders above the standard treatment of interferon therapy, which only treated about 20 percent of people. But since 2014, newer DAAs have achieved cure rates over 90 percent and have been able to treat other types of hepatitis C.
But DAA therapy is also expensive, with the 12-week treatment regimen running as high as $100,000. As a result, both private and public insurers have been notoriously stingy about paying for it. Many have created strict guidelines for who should be eligible, and denied coverage to those who don’t fit the criteria. These might include requiring that a patient be seen by a costly specialist first or have advanced liver disease. They’ll also often exclude people who use illicit drugs, a group especially vulnerable to the blood-borne and sexually transmitted disease. Insurance companies have argued that the restrictions ensure treatments aren’t wasted on people who won’t benefit from it. But doctors have pushed back hard against these guidelines, saying there’s no medical rationale for them and most anyone with chronic hepatitis C should be able to get DAA therapy. The initial back and forth sparked outrage from doctors, patient advocates, and government officials, and even prompted class-action lawsuits from patients against insurers and Medicaid for denying coverage, which has led to some relaxing of the guidelines. But this new study suggests that in some ways, things have only gotten worse. The researchers looked through DAA prescriptions for over 9,000 patients submitted between January 2016 and April 2017 to a specialty pharmacy that services 45 states. They found that overall, 35 percent of DAA prescriptions were flatly denied. Among patients on private insurance, 52.4 percent were denied, compared to 34.5 percent of patients on Medicaid and 14.7 percent on Medicare. Indeed, the 2015 study found lower rates of denial among private insurers (10 percent) compared to Medicaid, the opposite of the more recent data. And though Medicaid denial rates were higher back then, the denial rate from all insurers in the new study only rose as time went along, from 27.7 percent in 2016 to 43.8 percent in 2017. Though untreated chronic hepatitis C infection often causes no symptoms at first, it’s known to make people vulnerable later on to liver disease, including cirrhosis or cancer. It might also increase the chances of skin problems, bone disease, and possibly even dementia. And of course, leaving it untreated makes it possible for people to spread it to others. Despite these frustrations, the drugs have allowed us to imagine a world in which hepatitis C is completely eradicated. A 2016 report estimated that we could end the disease within the US by 2030, so long as at least 260,000 people receive proper treatment every year. But fewer than 10 percent of people diagnosed with chronic hepatitis C have received DAA therapy, according to Lo Re, putting us far short of that goal. 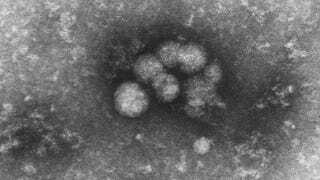 It’s thought at least 3.5 million people have chronic hepatitis C in the US, though only half actually know they are infected. And the opioid crisis has likely only led to more cases, since drug use that involves sharing needles (as can be the case with heroin use) can help spread the virus further. Worldwide, 130 million to 150 million people carry the disease, and it kills as many as 500,000 people annually.